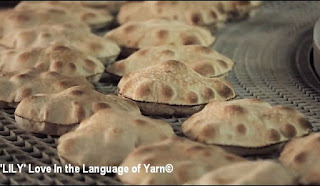 Love In the Language of Yarn and Education : Make It Your New Year Resolution To Help Syrian Children! 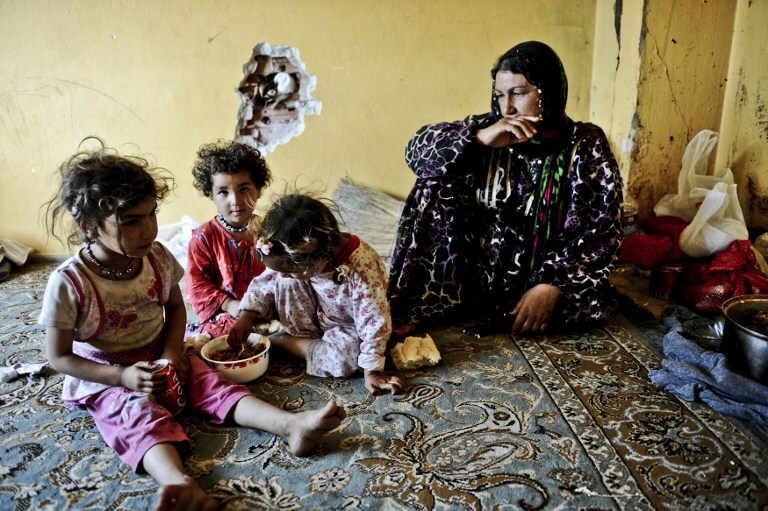 Make It Your New Year Resolution To Help Syrian Children! Over half of the people displaced by the Syria crisis are children and every two minutes, another child from Syria becomes a refugee. Since the begining of this crisis and the first refugees came across the border into Turkey LILY has sworn to help bring a little comfort to Syria's children and to show them that they are not forgotten - that we DO care. If you are a knitter or crocheter please consider making an 8inch square or two with your odds and ends of yarn. 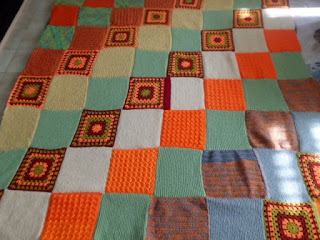 It's a great way to bust your stash and the squares will be joined to form blankets and given to Syrian refugees. Every square is a hug from someone who cares! you can also send us completed blankets if you prefer. We also need Sweaters, Hats, scarves, gloves, socks infact anything that will help to keep a child warm during the cold winter months. If you do not knit or crochet maybe you would like to make a donation to help to pay for the transportation costs- we make a delivery into the camps every month. You can do this by clicking on the Donate button at the side of this page. 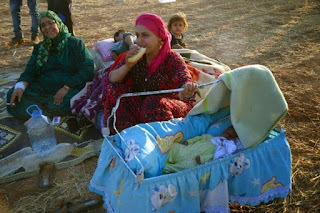 Lack of access to food and severe malnutrition have meant that mothers have been unable to feed their babies adequately. In addition, the conflict has made orphans of tens of thousands of children, and these include countless motherless babies, who may have been left in the care of grandmothers or other relatives. 'LILY' has been regularly supplying milk formula to hundreds of babies in the hard-hit areas every month. We urgently need babies bottles to be able to feed these babie the formula, giving these innocent infants a fighting chance of survival in the hostile circumstances into which they have been born.Therefore I am asking if you could spare a few pounds/ dollars etc. to enable us to buy bottles to be able to feed them the formula to help save these baby's lives. 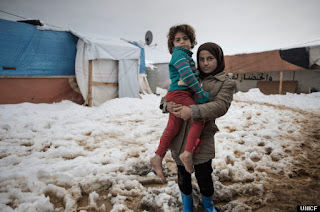 We also desperately need to provide the Syrian women and teenage girls sanitary napkins... something we all take for granted but are in very short supply in the refugee camps. You can help by making a donation and we will purchase baby formula, bottles and sanitary napkins locally and supply the camps on your behalf. We have heard stories of Syrian mothers having to resort to using plastic bags instead of nappies and as you can imagin this causes terrible sores and babies needing medical attention. We (LILY) try to supply nappies as often as possible but disposable nappies are expensive. As there are over 30,000 babies registered in 24 refugee camps along border areas with Syria and Turkey and While the exodus to Turkey continues unabated, the population of newborn babies to Syrian refugee mothers also increases day by day..... that's a lot of nappies! I have found a family run factory here in Turkey that makes flat toweling nappies that will sell them to LILY at a greatly reduced price. These will fit all ages.... so the same nappies will last one child from baby right through to toddler stage and are easy to wash thoroughly by hand and quick to dry. We can buy a pack of 12 re-usable toweling 100% Turkish cotton nappies 60cm x 60cm for 28 turkish lira which works out around 7 pounds sterling (10 us dollars). The denial of bread - has become a weapon of war! Bakeries providing a lifeline to communities have become a regular target for air strikes. The acute suffering of civilian communities has been made immeasurably worse by a shortage of bread, Syrian’s staple food, caused in part by the deliberate bombing of bakeries. At 'LILY' we are doing our best to try and ease the plight of the Syrian civilian population, who feel abandoned by the rest of the world by making sure that they at least get fresh bread daily. Families queue up for hours in the hope of purchasing even a single bag of bread, and frequently return home empty-handed. Due to your generous support for our Syria Bread Appeal in August 2014, 'LILY' and local partners were able to refurbish and restore an abandoned bakery in Idlib which had been forced to shutdown due to fuel and flour shortages. We have been able to supply bread to 5 villages, providing bread for around 2,200 families. We need your support to ensure that we are able to provide this lifeline! As more and more Syrians are fleeing Syria and trying to head for Europe we are starting to find Syrian families on the Streets of Kuşadasi as we are less than 1 hour away across the sea from the Greek island of Samos. When we can we help them by feeding and clothing them plus help to find them shelter. If you could spare a lira (pound, dollar) or two that would be a great help. Please use the donate buttons below. Images of children with no shoes in the bitter winter snow and mud in the past years have prompted LILY to lauch a shoe appeal these last four years. Therefore once again we are asking for your help. 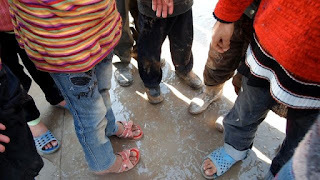 LILY's helpers have visited many Syrian families in Turkey and witnessed the conditions they lived in and seen the numerous children without shoes or any kind of footwear. As have we here in Kuşadasi as many of the the Syrian refugees arriving here and sleeping on the streets have no or inadequate footwear for the winter. 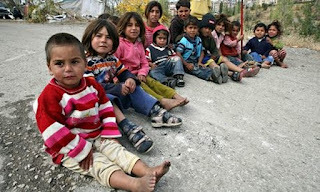 We are asking you to donate just 5 British Pounds (8 US Dollar) which will buy a child a pair of winter shoes/ boots. Being able to source them locally helps us to get them to the Syrian children quicker. As the cold season approaches, responding quickly is crucial.